We are so glad you are joining us to learn and share the importance of hope in all of our lives. Below you will find two sets of lessons. Please read each description to determine what best suits you. The links below will take you directly to each designated curriculum page. 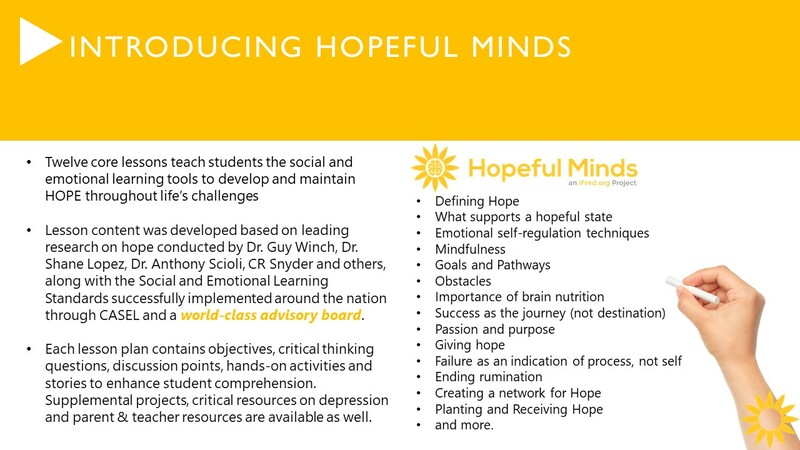 Our Hope Badge is a program we developed with 7 Cups, and is suitable for anyone over the age 13. We invite you to learn about how you may embrace hope in your life and gain new skills to enhance your overall well-being. Always remember, Hope is best practiced.